Showing recent results 946 - 960 of 4364 products found. 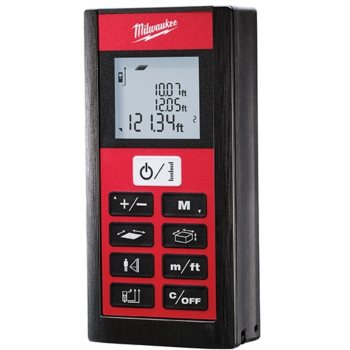 Milwaukee's Laser Distance Meter is a heavy duty distance measuring tool for professional, commercial and industrial applications. The 2281-20 can easily measure distance up to 200' with 1/16" accuracy. 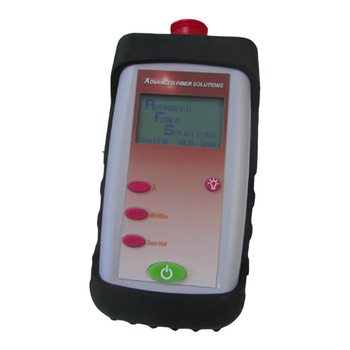 The simple user interface makes Laser Distance Meter easy to use. The end bracket allows for accurate measuring from corners and edges. Easily add and subtract values and use five different functions to calculate length, area, volume, indirect measurements, and stake out equations. The 2281-20 includes meter case, two (2) AAA batteries, quick reference guide, manual and is covered by the Milwaukee 5-Year Warranty. Keysight's popular N7744A optical power meters with four power-sensor channels provide increased throughput and operational efficiency to meet today's challenges in manufacturing. Designed for characterizing optical multiport components, these optical power meters offer industry-leading solutions for device connectivity, high-speed measurement data acquisition and fast data transfer for post-processing. The multiport power meter enables fast measurement solutions for all multiport devices; for example multiplexers, PON splitters, wavelength selective switches (WSS) and ROADMs, as well as compact setups for simultaneous testing of multiple single-port devices. 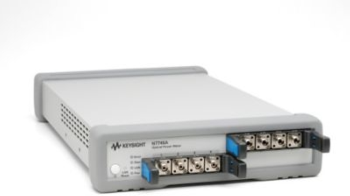 Keysight's popular N7745A optical power meters with eight power-sensor channels provide increased throughput and operational efficiency to meet today's challenges in manufacturing. Designed for characterizing optical multiport components, these optical power meters offer industry-leading solutions for device connectivity, high-speed measurement data acquisition and fast data transfer for post-processing. The multiport power meter enables fast measurement solutions for all multiport devices; for example multiplexers, PON splitters, wavelength selective switches (WSS) and ROADMs, as well as compact setups for simultaneous testing of multiple single-port devices. Keysight N432A is the replacement for Keysight's legacy 432A analog thermistor power meter. 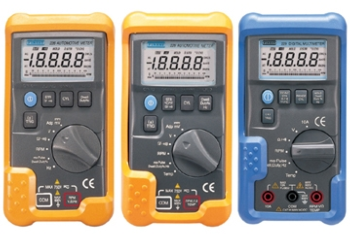 The single-channel, average RF power meter operates with the Keysight 8478B and 478A thermistor mounts. The N432A-and-thermistor-mount pair is ideal for applications that require high measurement accuracy, particularly in metrology and calibration laboratory environments. 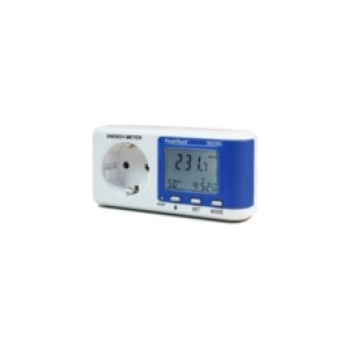 The enhanced thermistor power meter comes with a digital color LCD display, and user-friendly front panel interface. Its built-in calibration factor table provides a more convenient and accurate method of storing calibration factors as compared to the old knob-turning approach of the 432A. The N432A is LXI compliant, and programmable via GPIB, USB and LAN. pH meters ideal for laboratory, industrial, and manufacturing applications. Models offer mV, ion and temperature measurement and range from economical to high-end for low-tolerance measurement needs. Series 226/228/229 - Fine Instruments Corp. The Finest 226/228/229 automotive MultiMate's are ideal for first-level automotive troubles shooting. Some unique features make these meters very efficient ones. 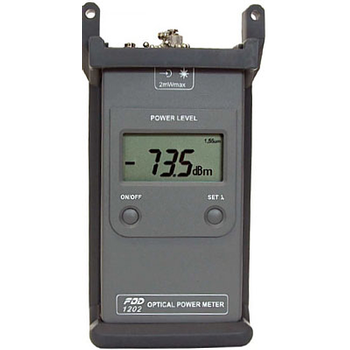 FOD 1202Si - Fiber Optic Devices Ltd.
FOD 1202 - Fiber Optic Devices Ltd.
FOD 1202H - Fiber Optic Devices Ltd.
Energy meter allows measurement of the energy consumption of electrical appliance, and by entering the electricity rate, to calculate the total cost of an appliance power consumption. 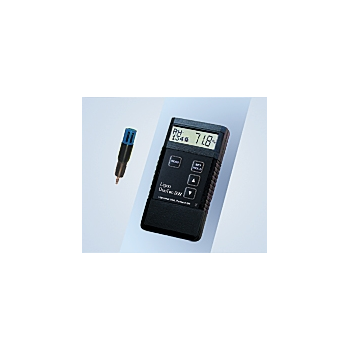 The DPM (digital pressure meter) family are compact, lightweight, high-performance, versatile test instruments, whose basic parameters cover positive pressure, and vacuum ranges. 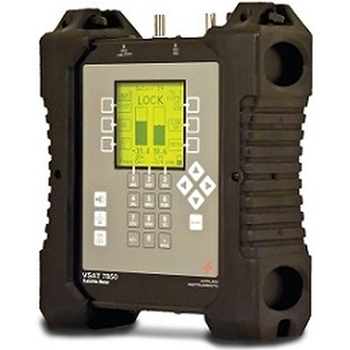 The OM120 is a general-purpose power meter suitable for a both premise and outside plant applications. 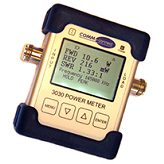 These units are ideal for measurement of optical power and optical loss/attenuations in a fiber optic network. Ligno-DuoTec BW - Lignomat USA Ltd. The Ligno-DuoTec BW is a non-invasive moisture meter with dual-depth measuring capabilities. RH BluePeg Probe can be added to use as Thermo-Hygrometer or for RH in-situ probe testing. VSAT 7850 - Applied Instruments, Inc. The VSAT 7850's extreme ruggedness, husky battery, ease of use, and versatility, make this the ideal meter for professional VSAT satellite technicians.